Welcome to Term 4, eleven weeks for your children to continue their love of writing (as one of our key improvement areas this year), getting ready for transition into the next year level and enjoying the beautiful weather. Our teachers are well prepared for the term having planned their team programs for reading, writing, spelling, mathematics, science and other curriculum areas. 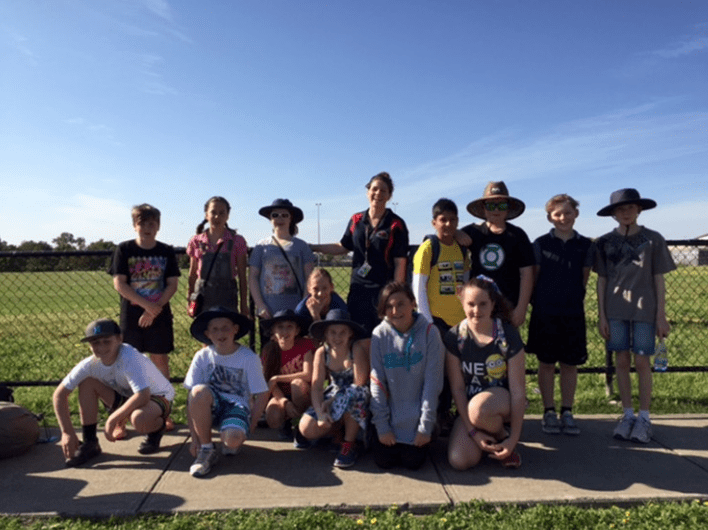 The term also sees the children in years 2 and 4 attend their camps, grade 6 children walking to Alkira SC for practical science classes, 2016 prep transition sessions, the Life Ed Van sessions and student reports being prepared. Monday 2nd November is a Curriculum Day for teachers (no children at school on this day) to allow us time to look at the new Victorian Curriculum recently announced by the Department of Education & Training and start planning for 2016. Tuesday 3rd is Melbourne Cup public holiday. Yesterday 14 children left for the ten day Somers Camp. This camp is an opportunity for the boys and girls to meet children from other schools, work in teams and participate in adventure activities. I’ d like to thank Ms T oni Barker for volunteering to attend with the children. Hillsmeade PS was allocated more spaces after our offer to send a supporting teacher to the camp. Over the holidays I heard from Mr Bret Mottrom who was successfully appointed as an Assistant Principal at Bayswater South Primary School, starting 2016. He is still acting in an AP role at Knox Park PS until the end of this year. On behalf of our school community, I wish Bret well with this exciting new role next year. I have also spoken to Mr Kieran Denver and Mrs Tara Jenner over the past few weeks and they are thoroughly enjoying their leadership roles in their new schools. We welcome back teachers who have had long service leave during term 3: Mandy Ryan, Di Poulter, Rush Rajaram, Carrie Boyce and Rob Kay. I’d like to inform parents who use the front gate to drop off or pick up their child, that there is a magpie nesting in the gum near the Administration Block. We have seen some swooping. Please be on the lookout.